Dine were glad to host a Downton Abbey themed event for an esteemed private client, celebrating several landmark birthdays and a very special wedding anniversary. Our brief was to create a memorable celebration based on an elegant period theme. 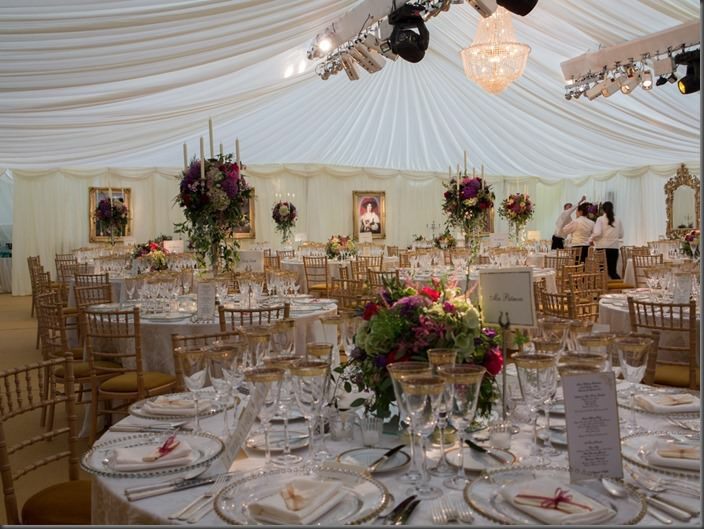 Dine’s event team adorned beautiful open sided canvas marquees by Coopers with period features including chaise longues, marble console tables, lit portraiits, gold embellishments, dramatic crystal chandeliers and a central 14ft urn of fresh flowers. 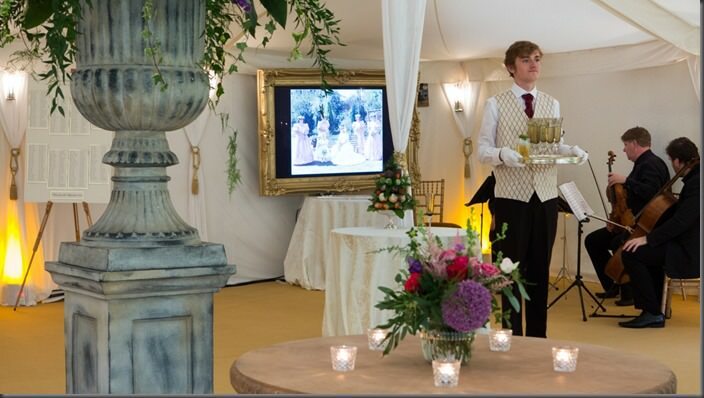 Guests were served a choice of Champagne or Elderflower Spritzers in etched gold flutes by the white gloved Dine footmen, dressed in their bespoke uniforms and each with a silver butler’s tray. The Downton Abbey theme was even playing in the cloakrooms! The guests were treated to a fine three course dinner including a starter of Lobster & Tiger Prawn Cocktail with a Bloody Mary Foam, followed by Yorkshire Fillet of Beef with a Shin of Beef Casserole & Mini Horseradish Dumplings served in mini copper pans. The piece de la resistance paraded by Dine’s footmen were uplit perspex trays flowing with dry ice and jammed with sweet treats including Eton Mess in a mini martini glass and Blueberry Cheesecake. This was followed by Dine’s bespoke range of coffees and loose leaf teas. 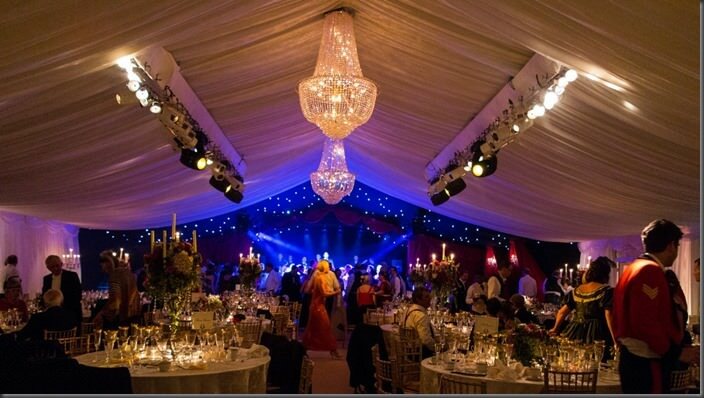 After dinner the assembled company were regaled by an operatic trio, before a dramatic reveal to he evening “boudoir” featuring heavy burgundy velvet curtains, custom made booths (each with a mini chandelier) and a bar replete with Madeira, Port and silver candelabra. Contact us to find out how we can make your next event special.